We find that many people put off taking care of getting a will or trust because they don’t know what is involved or what it will cost. That is why we decided to make the process painless: our plans have a set price that you know in advance -we do not charge by the hour. Our plans are personal, comprehensive, and designed just for you and your family. Whether providing for a special needs loved one, planning for retirement, or including cutting-edge probate avoidance in your planning, we have the perfect solution for your estate planning needs. 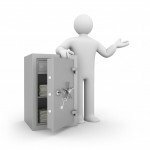 We feature four Estate Planning Portfolio choices as the backbone of our estate planning. One is centered on a Last Will and Testament while three are centered on Revocable Trusts: The Living Trust Portfolio, the Retirement Trust Portfolio, and the Special Needs Planning Portfolio. All of our portfolios include Powers of Attorneys, Health Care Directives, Letters of Instruction, and many other supporting documents. The first step is to come in and talk to us. We do not charge for the first appointment. We listen, we talk, and we make suggestions. Watch this short video to learn more about the estate planning you should be doing. 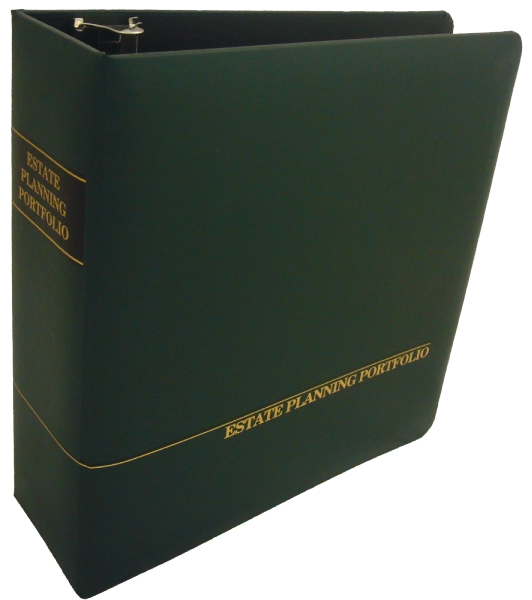 90% of future clients we meet with are missing something extremely important in their estate planning. Find out what that is HERE. 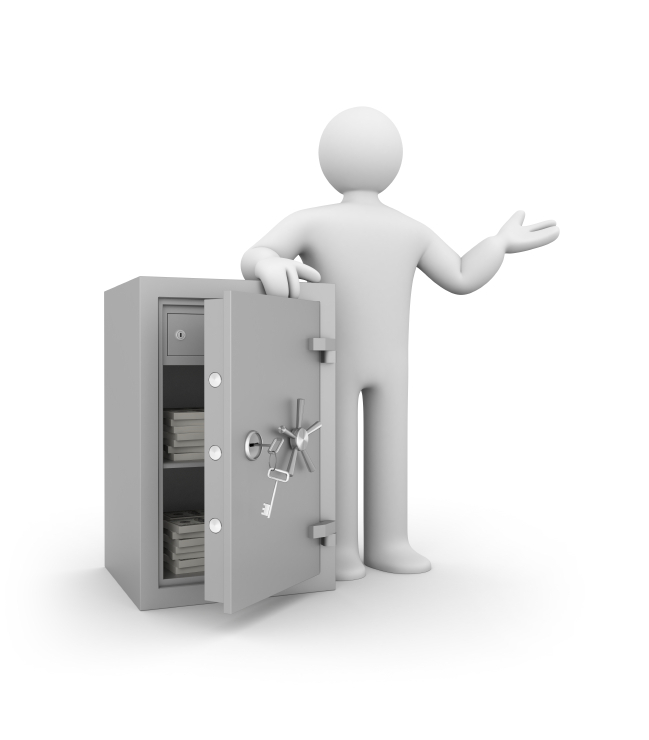 Clients: access your vault HERE. 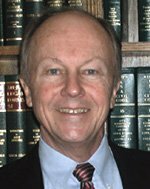 Mr. Covell has practiced law for over 34 years in Baton Rouge and Covington areas. He is a partner in the law firm of Covell & Covell and concentrates his practice in the areas of estate and financial planning as well as successions and probate litigation. 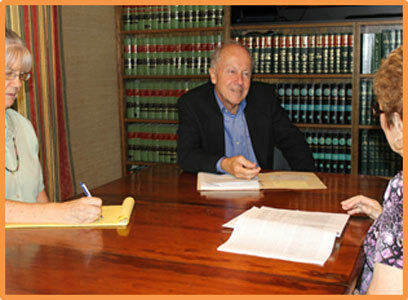 Mr. Covell has drafted more than 4,000 wills and trusts in his practice. He received his Juris Doctor degree from the Louisiana State University Law Center in 1975. He is a frequent speaker in the estate planning field for corporate sponsored groups and also teaches estate planning seminars sponsored by the National Business Institute for lawyers’ continuing legal education requirements. Mr. Covell is a member of the Louisiana and 22nd JDC Bar Associations. He is also chairman of the Estate Planning Committee of the Attorney General’s Elder Law Task Force. 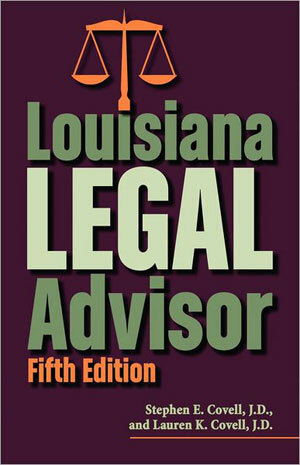 He is co-author of the Louisiana Legal Advisor which is a popular book on Louisiana law written for the layman, now in its 5th edition. Mr. Covell is a Series 65 licensed investment advisor and is managing partner of Covell Financial, LLC, a registered investment advisor firm. Covell Financial is associated with TD Ameritrade as an institutional investor partner. Lauren Killebrew Covell is a Baton Rouge native having graduated from Robert E. Lee High School and Louisiana State University. She received her Juris Doctor degree from the Paul M. Hebert Law Center in 1976 and became a staff attorney for the Department of Health and Human Resources. Mrs. Covell is a member of the Louisiana State Bar Association and the 22nd Judicial District Bar Association. She devotes a great deal of time to pro bono work and is the recipient of the 2005 Baton Rouge Bar David A. Hamilton Pro Bono Award and the 2006 LSBA Pro Bono Award. 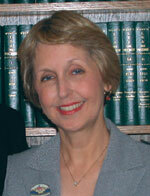 Mrs. Covell is a recognized authority on Qualified Domestic Relations Orders (QDRO) and helped draft a statute (La. R.S. 9:2801B) to benefit Louisiana attorneys and their clients who were attempting to modify an earlier judgment to obtain a QDRO or other non-ERISA Order to partition work benefits between former spouses. Mrs. Covell has been appointed by courts in several jurisdictions with the responsibility of drafting impartial proposed QDROs for the Court to execute before submission to the respective Plan Administrators for approval and implementation as qualified domestic relations orders. The following are a few of the unsolicited, written thank-you notes we have received. Dear Steve: I shared with my parents our experiences with you and the professionalism you exhibited throughout the process of preparing our Will, the Durable Power of Attorney and the Healthcare Directive. My parents expressed their desire as to a possible time they could come in and talk to you next week about preparing a similar plan for them. …We appreciate you and your expertise. I want to thank you and your staff for helping me get through the ordeal with my husband’s succession. You were very kind and understanding and I really appreciate all your work. Your support and attention to our needs went beyond the lawyer-client relationship and we recognize your determined efforts on our behalf. In short, thanks!! I wish to take a moment to thank your for your hard work and preparation in my case. I know that it was your professionalism that won the day. I am proud to be associated with you. I’m sure that in the upcoming years there will be more work to do. Again, thanks for everything. I just wanted to say “thanks”. You have given me a vast amount of information, and presented it in such a way that it was easy to understand. I feel very comfortable talking with you and very confident that you will represent me very well. Just a little token of appreciation for all the work you have done and are doing for us. We feel very fortunate and grateful that you are our lawyer. Thanks for every thing. Dear Lauren. Thanks to you and Stephen for the help you gave us. You were so supportive and reassuring in this endeavor. We could never have gone into this business and felt in better hands -personally and surely legally. We are grateful to you and your sharing of the most needed knowledge.